Floodlight cricket is coming to Winterthur. 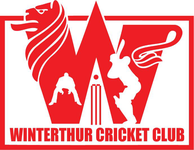 On Wednesday 29th July, Lewes Nomads, a touring side from the UK, will play Winterthur in a midweek Twenty20 match at Deutweg beginning 6pm. The match is expected to go until 9 - 9.30pm, so the floodlights are on standby! Join us at the match!! From 7.30pm, the WCC Social Secretary will be have the grills going, and for a very reasonable charge, be offering a selection of salads & bread exclusively to WCC members & guests. For further information regarding this match, contact Alex Mackay. For more details of the Lewes Nomads tour contact John O'Connor.